The patch paves the way for next week’s DLC. Ever since Dark Souls 3 launched earlier this year, players have never truly been satisfied with how the game utilizes the hidden Poise player stat. In previous Dark Souls games, Poise allowed players to push through damage that would otherwise stagger them, but that doesn’t appear to be the case in Dark Souls 3. However, an upcoming patch may bring Poise more in line with what players expected from the start. 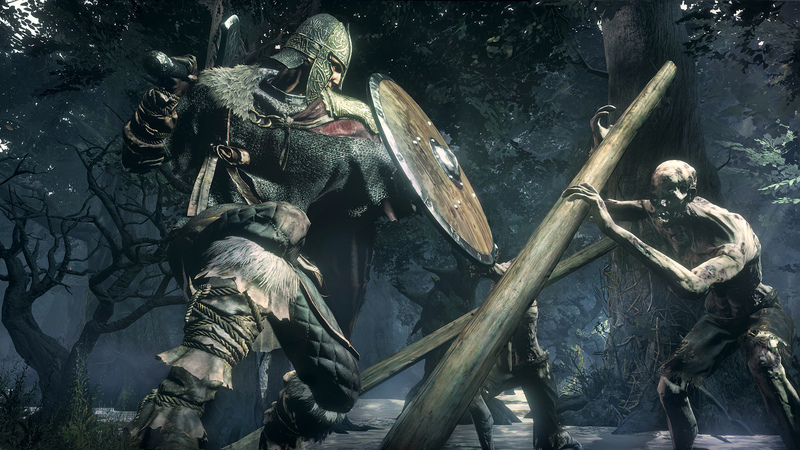 The patch, which is mainly intended to help prepare Dark Souls 3 for next week’s release of the Ashes of Ariandel DLC, will apparently adjust Poise values across the board, with the most noticeable positive effects being applied to heavy armor and weapons. Also included in the patch are improvements for the attack animations of several different weapon types such as scythes, fist weapons, greatswords, and more. There’s also a hefty amount of bug fixes included in the patch which will hopefully make the launch of Ashes of Ariandel as smooth as possible. The full patch notes were recently posted on the official Dark Souls Tumblr, but you can also read them below (settle in for a long read if you do). The patch is set to go live this coming Friday, October 21, and the Ashes of Ariandel DLC will launch next Tuesday, October 25th. While you wait for the patch to arrive, be sure to check out our coverage of the DLC’s new PvP-focused trailer. Improved the "Neck Swipe" weapon skill animation of scythe category weapons. Fixed a bug where strong attacks performed using whips would not deal additional ・damage when fully charged. Adjusted the "Onislayer" weapon skill hitbox timings for Onikiri and Ubadachi. Adjusted the hitbox timings of the claw category weapon skill "Leaping Slash". Fixed a bug where rolling attacks on Astora's Greatsword could not be parried. Improved the "Wrath of the Gods" weapon skill animation for Wornir's Holy Sword. Improved the "Blind Spot" weapon skill animation for Corvian Greatknife and Handmaiden's Dagger. Improved the "Shield Splitter" weapon skill animation for Mail Breaker and Irithyll Rapier. Improved the "Wolf Leap" weapon skill animation for Old Wolf Curved Sword. The weapon skill of Old King's Great Hammer "Molten Perseverence" will now release lava on both hits. Improved the "Darkdrift" weapon skill animation for Darkdrift. Reduced effectiveness of rolling attack animations on Gotthard Twinswords while dual wielding. Increased effectiveness of the sorcery "Pestilent Mercury". Improved the cast animation of miracle "Lifehunt Scythe". Increased poison and toxic buildup of the pyromancies "Poison Mist" and "Toxis Mist", respectively. Increased durability damage buildup of the pyromancy "Acid Surge". Increased duration of the "Warcry" weapon skill. Fixed a bug where the player's lock-on target would automatically change even if "Toggle auto lock-on" was set to "OFF". Fixed a bug where equipping Vordt's Great Hammer or Irithyll Straight Sword in the left hand would cause enchantments to disappear from weapons in the right hand. Fixed a bug where two-handing certain weapons would cause the stealth effect on Slumbering Dragoncrest Ring to not work correctly.